Among the most influential figures in the development of modern linguistics, the American scholar Edward Sapir (1884-1939) notably promoted the connection between anthropology and the study of language. His name is also associated with that of his student in the Sapir-Whorf principle of linguistic relativity, the hypothesis that the structure of a language affects how its speakers conceptualise the world. 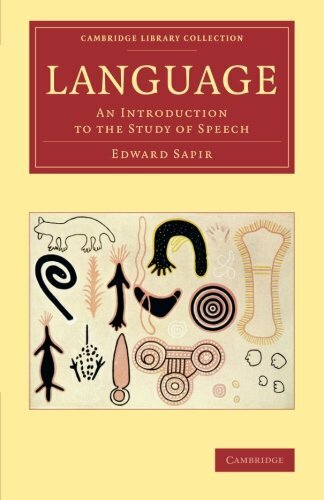 In this seminal work, first published in 1921, Sapir lucidly introduces his ideas about language and explores topics that remain fundamental to linguistics today, such as the relationship between language and culture, the elements of speech, grammatical processes and concepts, historical language development, and the question of how languages influence one another. Especially significant in the history of structural linguistics and ethnolinguistics, this clearly written text remains relevant and accessible to students and scholars across the social sciences.